Formulated with all-natural ingredients, BUTTERFUL’s rich and creamy consistency is like no other. Here we take a closer look at the key ingredients which are simple, yet effective and work to repair the skin, leaving it smooth, soft and silky. Shea butter contains high concentrations of vitamins E and A and is well known for its ability to soften and hydrate the skin. With anti-inflammatory and healing properties, it soothes irritated and dry skin while minimizing moisture loss. With a high content of skin renewing vitamin E, vitamin B, and antioxidants, rice bran provides for further hydration, and a reduction of fine lines and wrinkles. It protects from environmental stressors and leaves your skin with a healthy glow. This oil is a holy grail ingredient that hydrates, repairs and heals the skin. It contains linoleic and oleic acid, two essential fatty acids which are beneficial in the treatment of dry, aging skin. It absorbs quickly into the skin and is naturally soothing. Marula oil can also be found as the sole ingredient in the daily facial oil, PURITY. Coconut oil is soothing in nature and reduces inflammation and irritation caused by skin conditions like eczema. It is known to significantly improve hydration, which allows the skin to function more effectively, making it less susceptible to outside pollutants and bacteria. Rich in antioxidants and vitamins that are beneficial to the skin, grape fruit extract aids in the retention of the skin’s natural moisture. It is known for its ability to reduce the signs of aging and protects the skin from free radicals. Vitamin E is found within the shea butter and rice bran, but is also formulated in BUTTERFUL itself. It is characterized by its healing properties which allow scars and dark spots to diminish with continued use. It is highly moisturizing and works actively to soften dry, damaged skin. Lemons are rich in vitamin C and citric acid and are known for their antibacterial properties. The addition of lemon allows for an overall brightening effect to reveal an even skin tone. Easy to use and effective: simply massage the product into the skin daily after your shower or bath. 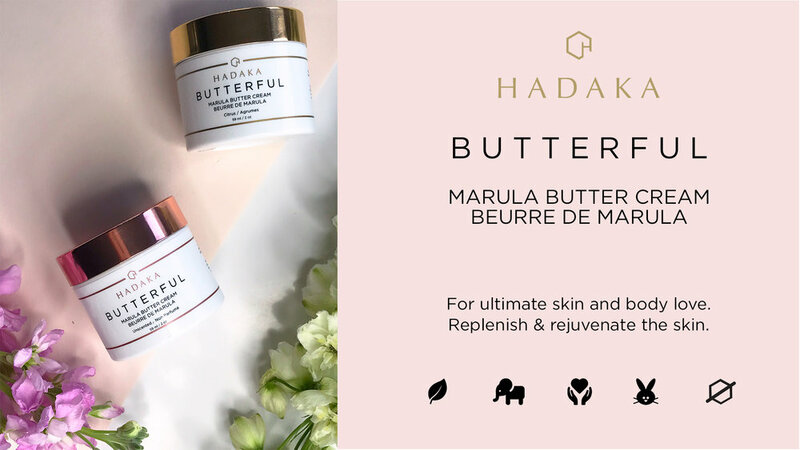 With nourishing vitamins and fatty acids, BUTTERFUL’s ingredients moisturize and protect the natural barrier of the skin. Formulated without any artificial ingredients, parabens, or dyes that cause dryness, your skin will delight in the smooth formula that absorbs quickly to hydrate and leave you glowing. Other Ingredients: emulsifying wax, stearic acid, potassium sorbate, aqua.